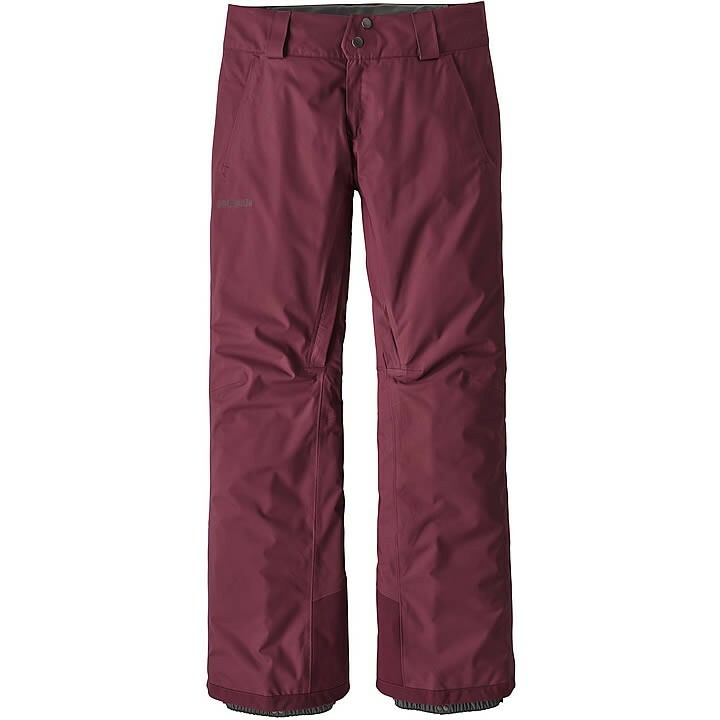 Supple, warm and featuring an articulated fit, Patagonia's Insulated Snowbelle Pants keep the heat turned on with a waterproof/breathable and windproof shell, a compressible layer of always-warm Thermogreen® insulation and a soft internal lining that wicks and glides smoothly. The durable shell is made from an H2No® Performance Standard 2-layer, polyester micro-twill fabric (70% recycled) with a waterproof/breathable barrier for no-doubt storm performance. A DWR (durable water repellent) finish prevents saturation due to wet snow and rain and increases abrasion resistance. Snowbelles trap your heat with soft, compressible stay-warm-when-wet Thermogreen® insulation that's held in place with a smooth internal lining that wicks moisture and glides over base layers to keep you moving freely. Thigh vents act like thermostats to control your inner temperature, gaiters keep out the snow and tough scuff guards offer additional leg protection. Waist details include a soft, brushed- tricot lining; internal elastic tabs to customize the fit and a loop on the rear yoke that connects to the powder skirt on any Patagonia® Snow jacket. Two zippered handwarmers in front hold money for your bowl of voodoo chili in the lodge. Includes an embedded RECCO® avalanche rescue reflector and an updated, articulated, feminine silhouette. Inseam (size S) is 32".